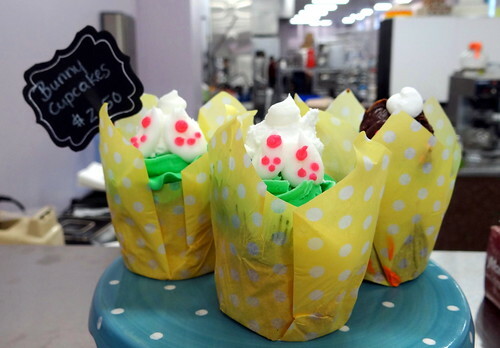 Cake Artist Cafe originally opened in Cranford 6 years ago. 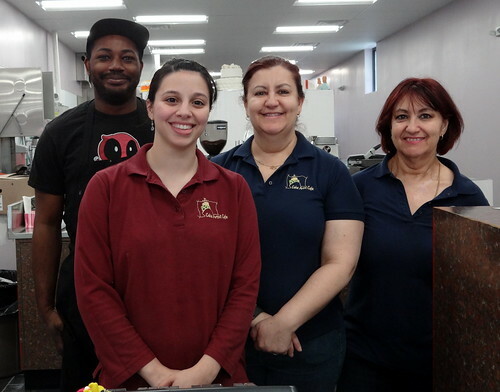 The business was started by Ligia DeJesus as a showcase for her custom cakes, and eventually expanded to also sell cupcakes, cookies, cake pops, and additional sweet treats. Ligia and her husband Rui also purchased the neighboring business, Dinner in a Pinch, as a way to showcase their cooking skills as well. With two businesses under one roof Ligia and Rui found themselves on the hunt for a bigger space downtown. They found that space at 8 Eastman Street, and re-opened both businesses the first week of April. One of the main reasons Ligia wanted a larger space was because of feedback from her customers. Many of them told her they would love to sit at tables in Cake Artist Cafe and enjoy their food there. 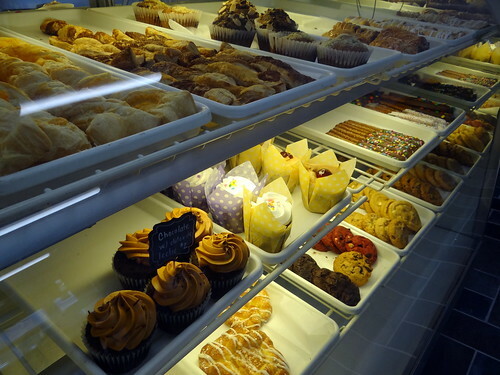 Ligia also wanted to offer a bigger variety of baked goods, and the new space allows her to do that. In the morning people can enjoy a cup of coffee with a danish or breakfast sandwich, while at lunchtime sandwiches and salads are on the menu. In the evening Dinner in a Pinch will be taking orders, and customers can also stop by and pick up a dessert to take home. Cake Artist Cafe and Dinner in a Pinch will be open from Tuesday-Sunday, closed only on Mondays. Since they opened in the new space, Ligia and her employees have been hard at work keeping the display cases stocked. All of the food is baked on premises, and Ligia also can often be found hard at work decorating her cakes. In the brief time the new location has been open, Ligia has already seen a noticeable increase in foot traffic and walk-in customers. Eventually the bakery will have a selection of dessert cakes in flavors like tiramisu, strawberry shortcake, and more. Ligia also plans to offer specials on cupcakes and cake pops for students. We hope you’ll join us in congratulating Ligia and Rui on their successful move, and thank them for choosing to keep their business downtown. Here’s to many more years of success in downtown Cranford! Previous Celebrate Easter and Spring with our Downtown Merchants!